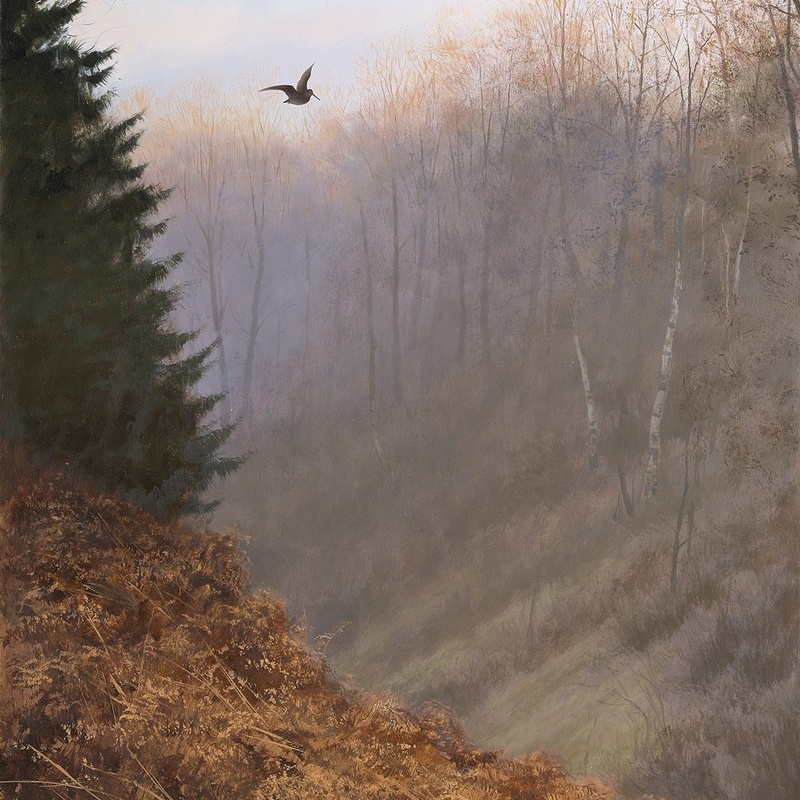 Bringing together some of the great names in Sporting art, Rountree Tryon Gallery, Petworth is now showing BACK FROM THE HILL, 5 October – 4 November. This seasonal medley of art, depicts the country pursuits of shooting, fishing and stalking by renowned contemporary and traditional artists in the field. From the fine detail of Archibald Thorburn, the Highland ambience of Vincent Balfour-Browne and birds in flight by John Cyril Harrison, through to the more contemporary works in exacting detail by Rodger McPhail and the soft tones of Ian MacGillivray’s red deer; the show covers these various sporting country pursuits and the enigmatic animals associated with their distinctive landscapes.